We are very proud of our Nursery outside area and have spent a lot of time improving it to make an exciting and stimulating exploratory environment. We feel it is very important that the children are provided with opportunities to extend their indoor learning outside. They can do this by looking for letters hanging from the trees or finding numbers buried in the sand. We have a miniature basketball court where the children have great fun practising their ball skills. There is also a little car park and road where the children can use the wheeled toys. 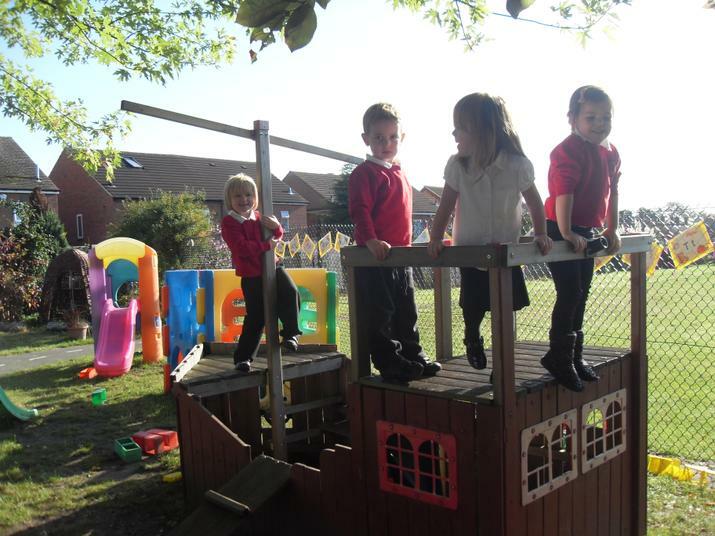 Our wooden pirate ship is used for many activities. The children often re-enact stories they have been listening to, as well as just having fun being pirates! We have a very popular wildlife area where children can go exploring for insects and do some planting. Wooden reed huts have also been erected so the children can chat in a different environment, as well as sheltering whilst they watch the rain. Most children thrive being outdoors, so taking their learning outside is of utmost importance to us. 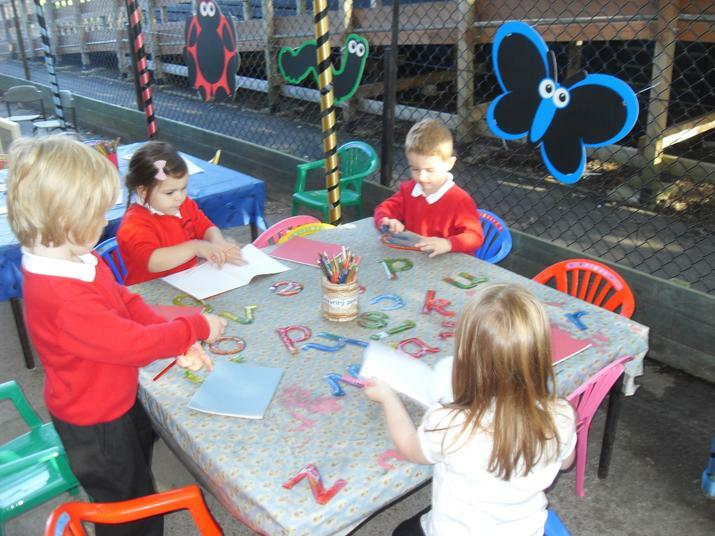 We aim to make sure that all areas of the Early Years Foundation Curriculum are readily available indoors and outdoors.